I’ve been in love with my washi tapes, I use it for my orders, to wrap up a present, and to put up some pretty papers on the wall. 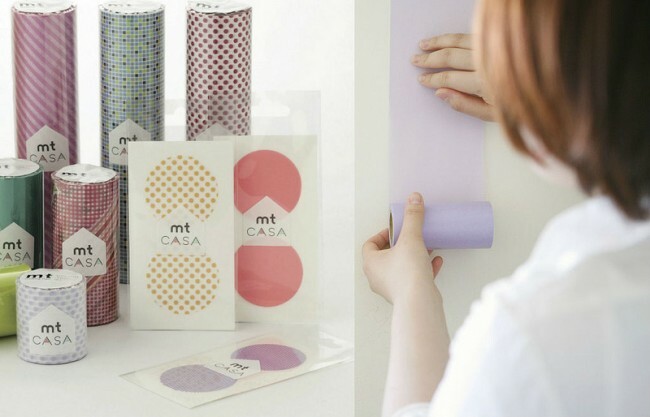 And now, they have launched MT Casa that you could use on your walls, ceiling, floor! (found via Decor 8) This will be so perfect for the renters like us, you can decorate your home and peel it off anytime. It’ll be so cute for the kid’s room, too. I love the big circle ones I see in the picture above, I could make a polka dots wall! And check out this fun video — makes me want to try!